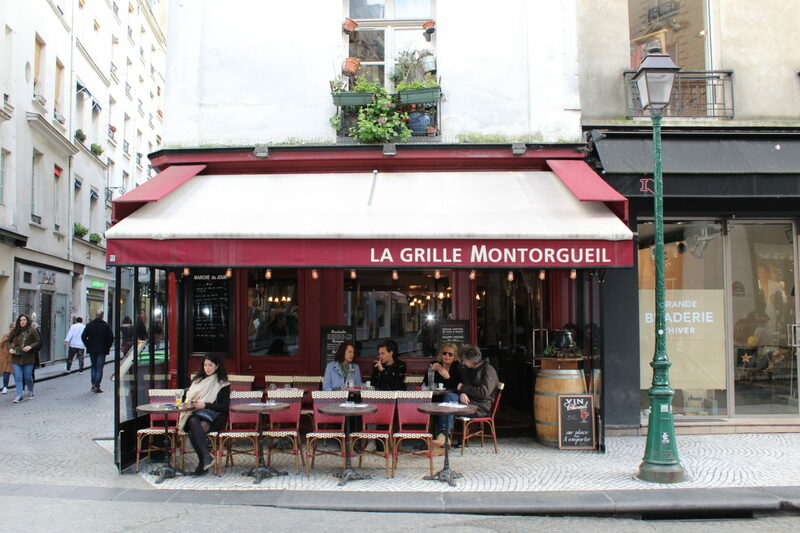 This week’s guest blogger is Lindsey Bunn, an Expat eating her way around Paris! Having been in a highly regulated industry for over 10 years, Lindsey is enjoying the freedom and creativity to write about her experience as an expat in Paris. Her particular interests are food, eating and restaurants, and also her two children, who luckily also enjoy a delicious meal out. Lindsey loves any excuse to frequent an eatery, so just shout if you need somewhere checking out! When we arrived in Paris almost a year ago, we knew we had to make the most of the opportunity that we had, and this meant eating out…a lot! We wanted to immerse ourselves into the Parisian culture, to experience all their intrinsic ways and most of all to eat really good food. As a family with two young children, we knew that restaurants with white table clothes and Michelin stars were probably not going to be our everyday eatery, however, thankfully, Paris has not failed to supply us with an eclectic supply of options. As much as we love to spend our time sipping coffee in a local brasserie with a view of the iconic Tour Eiffel, the “welcome” that some give to children can be quite varied! If you manage to find a place that has une chaise haute (high chair) cling on to it for dear life and make a note to return there. I’m afraid haute cuisine hasn’t quite reached the children’s menu yet so don’t expect foie gras followed by crème brûlée for your 5 year old. I am slowly getting used to the raised eyebrow expression from the waiter when we stumble in with a stroller/pushchair…I can see that he is wanting to tell me exactly where to store my poussette! Brunch has arrived in Paris, but surprisingly a little slower than I would have expected. The French are well known for their long lunches, obsession with food and strong coffee, and so the concept of a tasty, extended eating experience should fit perfectly. However, brunch tends to finish around 2pm, which is pretty much when the Parisians first venture out of their apartments for the day, so this may explain why the trend has been slower to take off. As a family we find brunch a great option…we can arrive early before it gets crowded with people sans enfant, and the kids are hopefully still refreshed enough to concentrate on a meal for longer then 5 minutes. When we heard about Eggs and Co. we knew we had to give it a go (sorry, that wasn’t meant to rhyme!) Based not too far from us, in the heart of quirky St. Germain des Prés, we read that it had a simple offering, yet delivered perfectly. We arrived bright and early on a sunny Sunday morning (they open at 10am) and were shown up some very steep stairs to a table in the charming and relaxed seating area. After a short explanation of the menu, we quickly decided upon a coffee (make sure you ask for it extra hot) and freshly squeezed orange juice to drink, and then two poached eggs on muffins with salmon (my husband opted for bacon, or there was spinach too), drizzled with a delicate hollandaise sauce, accompanied by a pile of fresh leaf salad with sesame seeds, and perfectly cooked and seasoned new potatoes. For the kids, they had “eggs and soldiers” so they were happy too. The poached eggs, when cut in half, burst with “a runny sun” as my daughter so eloquently described it. Although sufficiently content after the “main” course, American style pancakes were served next, with fresh fruit salad and maple syrup to finish off the breakfast-lunch. The service, food and ambiance could not be faulted. The chicken coop theme was fun, and the bountiful bundle of baguettes stored in a trashcan was just one of the quirks to discover. I suppose with such a name it was always going to attract tourists and the expat community, as English-speaking clientele surrounded us, as did a couple of dogs! If you are going with children, we would highly recommend arriving early as the service was swift, but not hurried, and as we left just before midday a substantial queue was building outside the petit frontage.